Diamond in the rough one block from the beach. 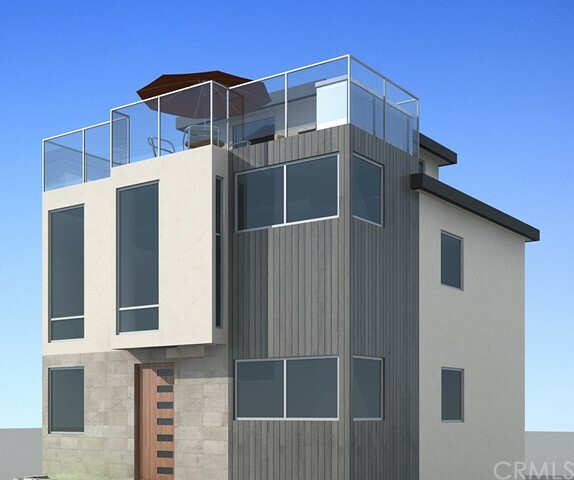 LOCATION LOCATION LOCATION in the heart of Hermosa Beach boasting panoramic views from PV to Santa Monica. Create your own space or rehab and sell. This is a rare opportunity to build your dream home. The Architect renderings were just recently done with the city stating it is a legal duplex and can be renovated up 70%. Perfect for a vacation rental or live in one and rent the other unit. *ALL photos of the property are architect renderings and do not represent the current property condition. Buyer to confirm all permittable addition allowances. © 2019. The multiple listing data appearing on this website, or contained in reports produced therefrom, is owned and copyrighted by Multi-Regional Multiple Listing Service, Inc. ("MRMLS") and is protected by all applicable copyright laws. Information provided is for viewer's personal, non-commercial use and may not be used for any purpose other than to identify prospective properties the viewer may be interested in purchasing. All listing data, including but not limited to square footage and lot size is believed to be accurate, but the listing Agent, listing Broker and MRMLS and its affiliates do not warrant or guarantee such accuracy. The viewer should independently verify the listed data prior to making any decisions based on such information by personal inspection and/or contacting a real estate professional. Listing courtesy of Julie Gallardo from Keller Williams Beach Cities . Last updated Thursday, April 25th, 2019.